Hardly a year has passed by since the launch of the Radeon HD 4650, which made the counterpart from Nvidia look small. Now ATI bounded ahead again and introduces the Mobility Radeon HD 5650, its direct successor and, furthermore, the first mobile graphics card supporting DirectX 11. We reviewed this new graphics hardware, in particular its gaming capabilities, and how it positions itself in comparison to the competition. New hardware is not usually first used in the German-speaking market. But, exceptions prove the rule. The brand new graphic technology by ATI is first used by the German retailer Deviltech, who lists the Fire DTX, a compact 15.6-inch gaming notebook equipped with the new graphics card. The bundle of Intel Core i7 CPU (up to 920XM Extreme should be possible?! ; optionally also Core i5), ATI's new Mobility Radeon HD 5650 graphics, up to 8 GB DDR3 RAM, and fast hard drive or SSD with a capacity of up to 640 GB, raises the desire of enthusiasts. The price is interesting. A configuration with i7-720QM CPU, HD5650 graphics, 4GB DDR3 RAM, and fast 320GB HDD costs just 1000 euro. The 29th of December 2009 is mentioned as expected date of delivery. The same is true for the configuration with Intel Core i5 CPU, which has not been introduced so far and will likely be presented at the beginning of January. So, the date appears untrustworthy. The HD 5650 is also not officially available yet and rumors say that it will be launched at the CES in Las Vegas. So, it's to be seen, whether ATI and Intel will put enough products on the market afore and if so, whether they may also be sold. A review of the laptop itself in usual detail will follow soon. At first it was unclear which kind of RAM was built in, because, e.g., Deviltech referred to it as GDDR3 memory, the ATI system control as DDR3 modules and GPU-Z as GDDR3 VRAM. What's actually built-in can finally only tell a glance under the hood of the Fire DTX. No sooner said than done. We inched our way to the HD5650 graphics card forward step-by-step. Directly beside it we could finally find the memory modules. Its label could solve the riddle, but, only if you could read it. With the help of a magnifier, we could make out the label “5TQ1 G63BFR” from the company Hynix, which is immediately identified as DDR3 modules by means of Google. For this review this is relevant as faster GDDR3 modules could further improve the performance of the ATI Mobility Radeon. As already mentioned at the beginning we were particularly interested in the gaming performance of the new HD 5650 graphics card. 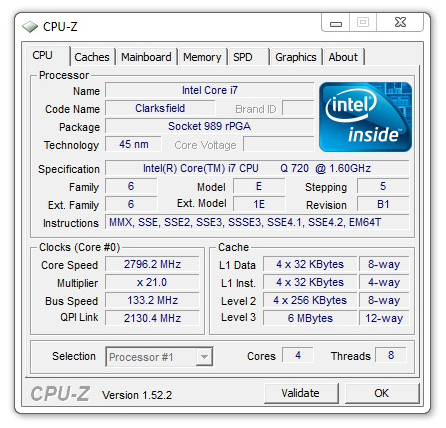 But, before the 3D Mark benchmarks test from Futuremark should allow a first classification of the built-in hardware. Lets start with the wide-spread and still often used 3D Mark 2006 from Futuremark. The reviewed Fire DTX achieved good 7076 points at the standard resolution of 1280x1024 pixel. 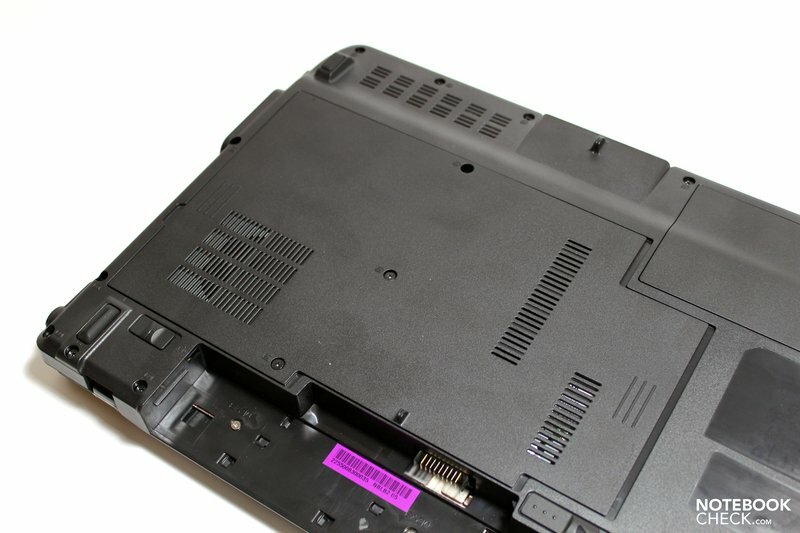 This exceeds the level of an ATI Mobility Radeon HD 4650 or a 4670 inside the laptops listed. But, the GTS 250M graphics card from Nvidia is able to pip it at the post. However, such is only used inside bigger notebooks. The up-to-date 3D Mark Vantage, also from Futuremark, allows a further classification. Although the results do not differ that much, the ranking of the reviewed laptops does hardly change. But, the ATI HD 5650 achieves 3450 points and levels the Nvidia GTS 250M of the comparably big MSI GT640. The practical test following soon, will finally have to show which is superior. In the following the Fire DTX with built-in ATI 5650 had to prove its gaming capability in practical tests with current and aged games. We either tested by means of a benchmark test integrated in the game or by playing a standardized part of a level..
At launch time playing Grand Theft Auto rev. 4 on laptops was considered as nearly impossible, at least at a reasonably fine graphics level. Not only the graphics card but also the high demands on the processor brought about restrictions. Since the launch of the i7 CPUs, which made high clock rates and multi-core architecture affordable, even middle class laptops could handle GTA IV to some extent. We tested the game with its integrated benchmark test, which simulates a chase in the midst of the street canyons of Liberty City. At medium detail level (view 21/100, detail 10/100, vehicle 50/100, shadow 8/16) and a resolution of 1024x768 pixel the Fire DTX reached good 42.7 fps on average. The game ran sufficiently smooth and offered a nice image. If you raise the demands on graphics, the frame rate will fall below 30 fps. Playing with these settings is no longer recommendable. On the pro side the frame rate is rather constant without noteworthy outliers. So, the HD 5650 is clearly more powerful than the ATI HD 4650, which achieves about 29 fps at medium details. 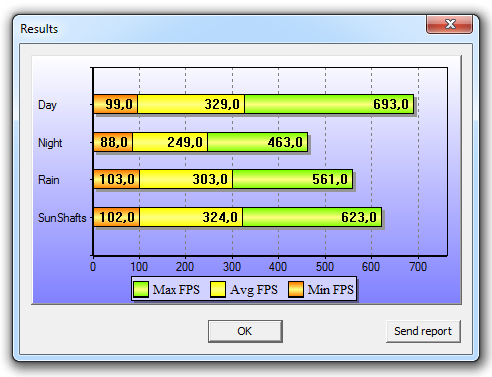 The GTX 260 from Nvidia stays just ahead and reaches about 48 fps in the same competition. Next we selected the horror shooter Fear 2 and compared the graphics hardware to many other test samples. The basis of the comparison is thereby a passage of the first single-player level during which we recorded the frame rates with Fraps. The result is noteworthy. Even at the highest settings tested the HD 5650 graphics hardware (1280x1024 pixel) reaches excellent 58 fps on average. Therewith it clearly outperforms the HD 4650 inside the mySN MG6 (47 fps), the HD 4670 inside the Dell Studio XPS 16 and the Acer 8935G (52 fps each). Also the competition, Nvidia, falls with 51 fps for the GTS 250M graphics card in the Toshiba X500 (with GDDR5!) or only 44 fps in the MSI GT740 clearly behind. But the GTX 260M graphics still has a slight lead with 64 fps and above (Asus G60VX). Of course the race simulation Racedriver GRID must not miss in our performance test. As usual we used the demo version and recorded a lap for the BMW-team Germany (Jarama Circuit) with Fraps. The average picture rate of 43.3 fps at high settings for the ATI 5650 (1280x1024, hohe Details 4xAA) proves to be sufficient to enjoy a judder-free race. A glance at the curve shows constant frame rates without disturbing outliers. So, how to other systems compete here? 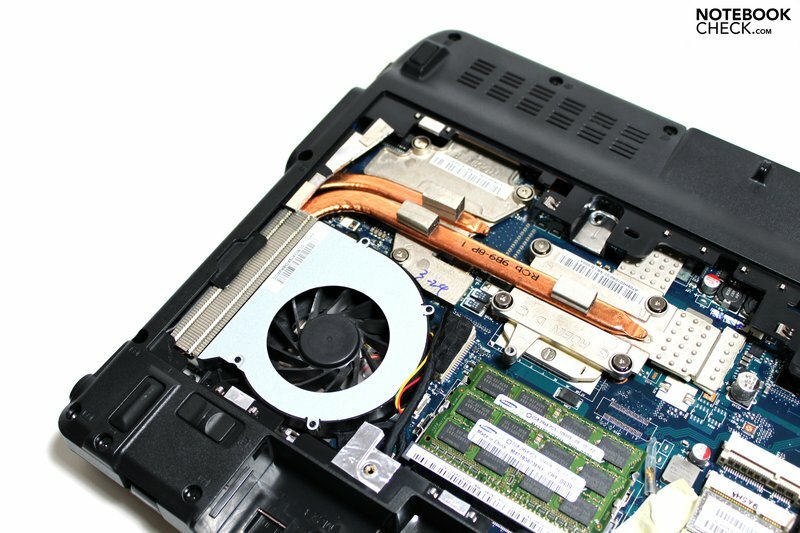 The results measured for the ATI 4650 graphics card range from clearly lower 33 fps in the HP Pavilion dv6 up to marginally better 46 fps in the mySN MG6. Again the GTX 260M, e.g., inside the Asus G71GX (53 fps) is clearly ahead. Middle class chips of Nvidia (9600M GT, GT 130M, 230M, 240M), which reach about 20-30fps, do not have the ghost of a chance. Although already the sixth part of the Call of Duty series (test further below) is available since a short time, this shooter is still one of the most popular games. As it lacks an integrating benchmark test, we recorded as usual a passage of the first single-player level with Fraps. While the Fire DTX with HD 5650 still achieves good 76 fps on average, the frame rate decreases to an average of 37.3 fps at high settings (1280x1024, high settings, 4xAA). Furthermore, the fraps protocol uncovers that the frame rate sometimes even falls to below 30 fps, which is noticeable during gaming. Therefore, you should especially in multi-player scenarios reduce the demands on graphics to stay competitive. 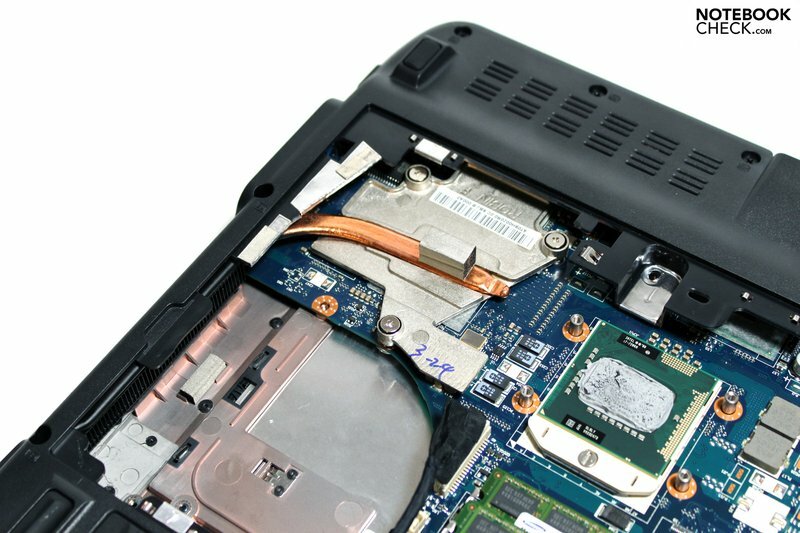 Compared to other laptops with different graphics hardware the Fire DTX with ATI 5650 reveals its first weakness. 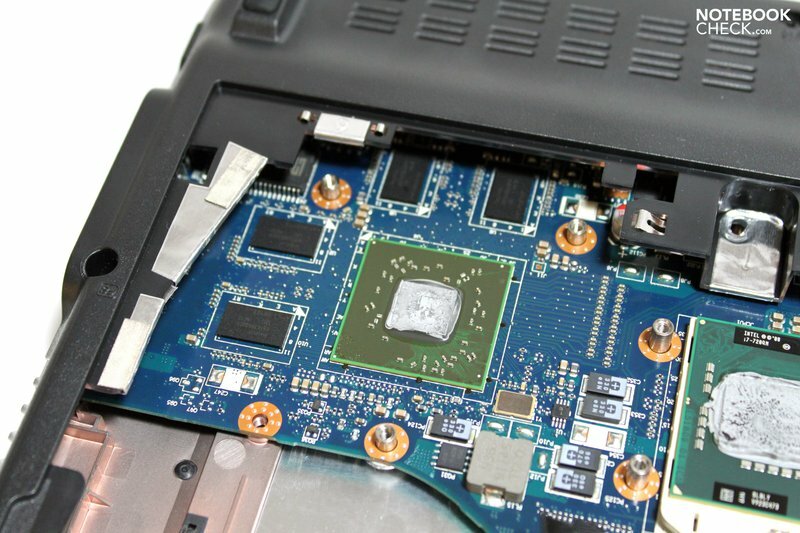 Even its predecessor, the HD 4650 can clearly top the result with up to 51 fps (Asus M60VP). 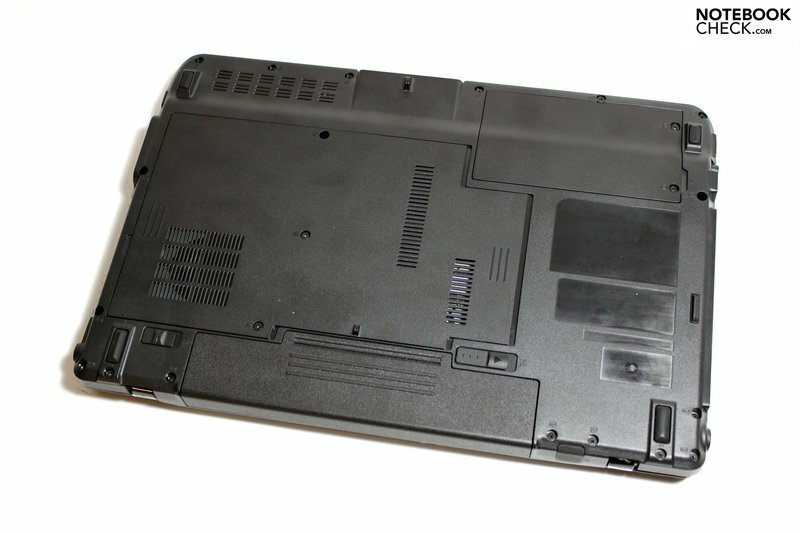 Overall, our test sample only reaches the level of the GT 240M (Acer 5739G). Although its already somewhat aged, the strategy game World in Conflict still can bring gaming machines to its knees. We used to integrated benchmark test, and additionally recorded with fraps. At a resolution of 1024x768 pixel and medium details (DX9) the HD 5650 achieved good 95.1 fps. The frame rate was clearly lower, but still sufficient at high graphics details, that is with DirectX10 support. Here our test sample could reach 44.7 fps on average. However, looking at the developing of values we detect that the frame rate sometimes drops below 30 fps. Because WiC is a strategy game very high frame rates are not utterly necessary and this can be neglected. As ATI HD 5650 achieves about 45 fps at high settings it plays in the top league. The results of true gaming bolides, e.g., 46 fps for the MSI GT725 with ATI HD 4850 or the mySN XMG5 with GTX 260M graphic from Nvidia (42 fps) also rank close to the HD 5650. The shooter Crysis belongs to the compulsories of graphics hardware and even made gaming notebooks look like fools when it was published in 2007. But, the hardware was, as often, improved subsequently and today even middle class multimedia-notebooks with appropriate configuration can cope with this game. We used the integrated GPU-benchmark of the game, which consists of a flight over the first single-player level. As usual Fraps recorded the frame rate. At a resolution of 1024x768 pixel and medium graphics settings the HD5650 achieved good 57 frames per second on average. However, raising the detail level to high, immediately let the frame rate drop below 30 fps. The fps diagram depicts a very constant curve around the 30 fps level. Subjectively the image sequence appeared sufficiently smooth, nevertheless, you should somewhat decrease the demands in practice to have reserve capacities for some effects. And how does the new ATI hardware compete in comparison? The 5650 can edge its predecessor (4650) out, whose result ranges from 26 to 29 frames per second at high settings depending on the test system. The MSI EX625 with HD 4670 graphics is basically on par with the Fire DTX. The Geforce GTX 260M graphics ranks with 30 bis 40 fps clearly better. ...and the story continues. Even if the third part of the successful Sims-series is said to be also playable without troubles on somewhat weak computers, a moderately powerful hardware is recommendable to enjoy a more demanding graphics quality. The Fire DTX finishes our performance test, that is a recorded game play of several minutes even at highest details and a resolution of 1280x1024 pixel with smooth 132 fps. 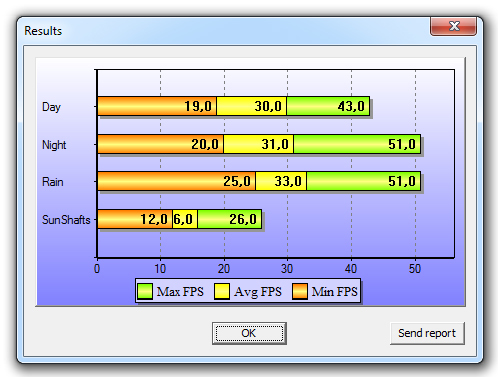 Although the fps-figures show many fluctuations, the frame rates always stay within a playable range. Nevertheless, the juddering while scrolling through the town inherent to Sims 3 are persistent. However, they cannot really be associated with the capabilities of the graphics hardware. The observed frame rates belong to the top frame rates collected so far. Even the Cyber-System QX18 (Clevo M980 NU) with T9900 CPU and GTX 280M SLI graphics 'only' achieved 120 fps. Therefore, you can assume that already the CPU is the limiting factor here. Although not every single frame rate counts in this city-building game, appropriately powerful components allow a really fine graphic and an impressive richness of detail. Whoever wants to utilize it, should have at least a middle class graphics hardware to avoid at least intense juddering. During a practical game play (demo) for several minutes the ATI HD 5650 proves that it ranks in the upper part of this class. At a resolution of 1280x1024 pixel and very high graphics details our test configuration with HD 5650 achieved good 43.7 fps. However, the figure depicts that the frame rates are close to 30 fps for the most part and only partly reach higher rates. This is because of the used zoom level. If you compare the result to our benchmark datenbase, the HD5650 exceeds the level of the GTS 250M (Toshiba X500) and already reaches frame rates like the GTX 260M from Nvidia, e.g., inside the Asus G72GX. There is clear distance to the HD 4650 (20-30 fps). However, we should not forget to mention the graphics errors observed during our test. Black ground textures on the islands spoil the fun regardless of the achieved performance and the selected detail level. Because of its integrated benchmark Far Cry 2 is a good candidate for a performance comparison. We tested with minimal graphics settings as well as with high graphics details suitable for comparison with other gaming laptops. At a resolution of 1024x768 pixel and high details (DirectX10) the Fire DTX accomplished good 46.1 fps. Fraps recorded a very constant developing without noteworthy outliers. 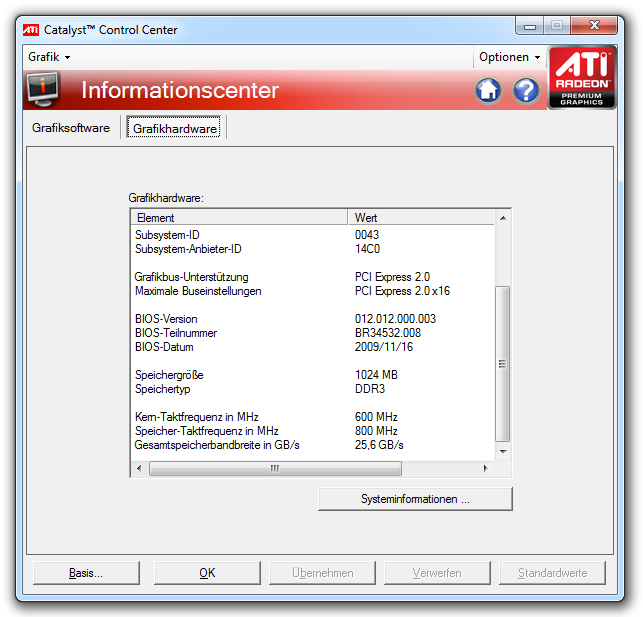 In comparison the test system slightly exceeds the levels of the ATI HD 4670 graphics card (Acer 8935G) with 42 fps. 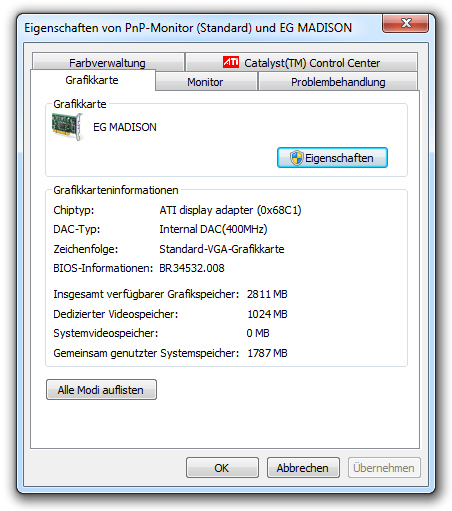 Nvidia's GT 240M, e.g., inside the Acer 7738G is with 35 fps clearly weaker. The latest release of the well-known NFS-series especially wants to attract with realistic driving characteristics and distances itself clearly from the Arcade games of previous years. Already our first benchmark tests showed that it requires a powerful hardware. In all our tests we observed a graphic error, in form of a disruptive judder in the right display area. With a frame rate of 44 fps at medium graphics settings (1024x768, medium, 2xAA) the game ran absolutely smooth. First increasing the demands to a resolution of 1280x1024, high details, and 4xAA forced the frame rate down below the 30-fps-level. Although it was still possible to play with an average of 25.5 fps, the sluggish image sequence prevents good results in the race. Compared to GTS 250M from Nvidia the HD5650 is also superior here. 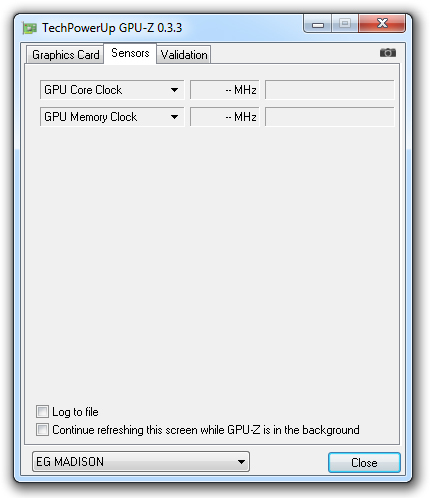 At medium graphics setting the later achieves 39 fps in the MSI GT740 and 42 fps in the Acer 8940G. The HD 4650 is with about 30 fps (Sony FW51) clearly outperformed. Also the brand new role game from Piranha Bytes does not make it easy for powerful hardware to whip detail-rich and high resolution images up. Here also the so far superior HD5650 had to chew on. At medium details (1024x768, 2xAF) it just reaches an average of 37 fps. At high details the frame rate drops below the 30-fps level again. Although the frame rate stays constant, it is overall to low for the necessary image sequence. We tested by playing a defined part at the beginning of the single-player mission (demo). Accomplishing 37 fps at medium details the Fire DTX is about on par with the Acer 8940G with Nvidia GTS 250M graphics. The GTX 260M in the Asus G60J is with 41 fps better. And GPUs like GT 230M/240M and HD4650, which achieve about 20-30 fps, are clearly outperformed. Last but not least we tried one of today's most popular games, the latest release of the Call of Duty series. As a representative of strongly multi-player-oriented shooter games an absolute smooth frame rate is necessary to stay competitive. The result of the first single-player mission raises hope. An average of 54.6 fps and a every constant frame level around the 60-fps-level should also suffice to prevent limitations in multi-player mode. However, increasing the detail level to high and a resolution of 1280x1024 pixel, whereby the average frame rate just fluctuates around 34.5 fps, is no longer trouble-free. 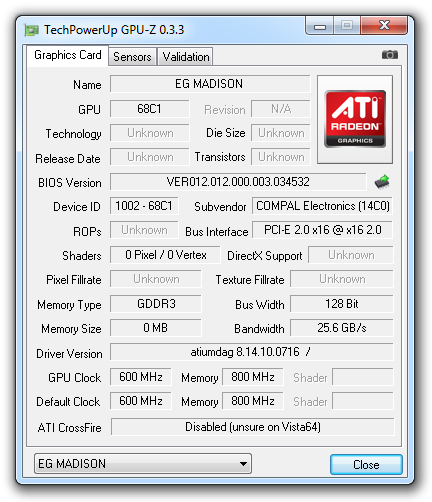 The ATI Mobility Radeon HD 5650 is the first mobile graphics card that supports DirectX11. This means compatible games can offer more richness of detail. At the time of writing such games are still rare, but alike with DX10, a quick growth is likely. In order to enjoy the enhanced options, that is running games at high resolutions and high detail level, a certain performance is required, which we proved with two available titles, Colin McRae Dirt 2 and Stalker: Call of Pripyat. The race game of the Colin McRae series gained much popularity after its launch in September 2009. As it has an integrated benchmark it is especially suitable for a comparison of mobile graphics card and will also be added to our “gaming list of mobile graphics cards”. The result of our test is ambivalent. Although the benchmark test gave an average of 52.8 fps at medium settings (1024x768, medium presets, no AA), we were irritated by a sluggish image in practice and did not notice much of the constant rates of the benchmark. If you increase the demands, the picture rate falls below 30 fps and also in theory a smooth game play seems utopian. The still rather young third part of the Stalker series, brings you back to the area of the nuklear plant in Tschernobyl, were many tasks and challenges await the player. 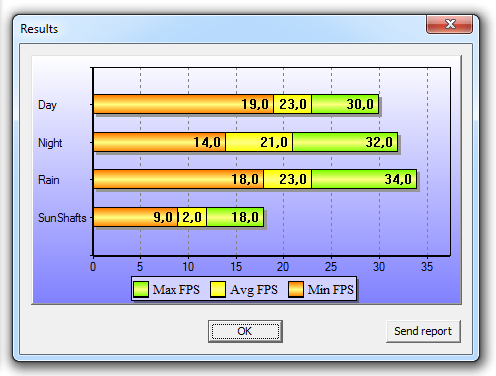 Stalker also integrates a special benchmark test, which can be invoked by an external tool. What follows are four different flights over the landscape at different conditions (day, night, rain,...) and the results are displayed. Depending on the scenario the recorded results vary. Overall, they prove that a smooth image sequence can only be guaranteed at low or medium graphic details. Raising the detail level to high at a resolution of 1280x1024 and DX10 lets the result drop to about 30 fps, which is just the border to playability. Here also one thing proves true: Because the performance is too low DX11 does not bring any visible graphical improvements about. The following figure depicts the frame rates of the executed benchmark tests (day). As for may other games before, we can again positively mention the always constant performance. Now then, how does the new graphics card from ATI rank? It is difficult to judge and give a final conclusion based on so many measurement data, even more because also the other components have to be considered. According to our test the ATI Mobility Radeon HD 5650 can be about classified at the level of the GTS 250M from Nvidia, maybe even above it. While the 3DMark benchmark tests still claim the opposite, it can convince in many games in practice. In many of them the GTS 250M is outperformed, some results stay at its level or slightly below it. 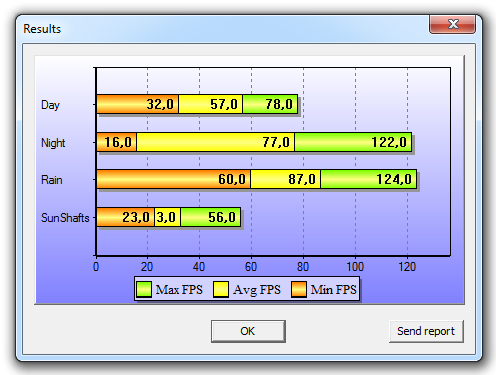 Considering that our test sample came with DDR3 memory, the performance with GDD3 memory should be even better. We liked the throughout constant frame rates in the games, which was a problem of its predecessor, the HD 4650. Nevertheless, such problems did occur, and we could observe graphic errors in Anno 1404 and in Need for speed – Shift. A key feature of the new HD 5650 is DirectX11 compatibility. For example in conjunction with the “tesselation” capability of the ATI hardware users could enjoy clearly more detail-rich surfaces. DirectX11 is already used in some current games, e.g., Stalker: Call of Pripyat, Colin McRae DIRT 2 oder Alien vs. Predator. Furthermore it can be assumed that more games will support DirectX11 in future. However, in our test the 5650 disappoints in this regard. Dirt 2 and also Stalker: Cop only ran smoothly at low and medium graphics details, and so let the potential advantage of DirectX11 lapse. Here you'll need essentially more powerful hardware or less-demanding games.